During last night's Game Awards, Microsoft and 343 Industries showed off a new trailer for the upcoming Halo Wars 2 that put a little more focus on the Brute, Atriox, you'll be going up against in the campaign. 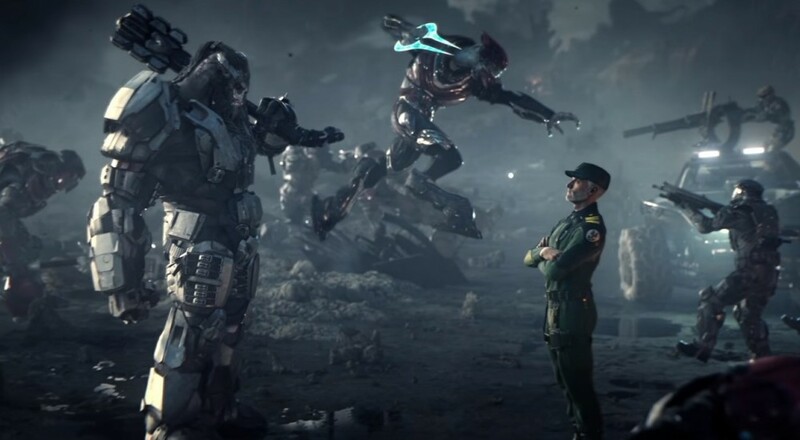 They also made a surprise announcement that Halo Wars: Definitive Edition will be releasing on PC and Xbox One, and you can get it early if you pre-order the Ultimate Edition of the sequel. Let's talk first about the new Halo Wars 2 trailer. The UNSC Spirit of Fire crew has awakened from their cryosleep 28 years after the events of the first game (just shortly after the events of Halo 5: Guardians) and find themselves at the Forerunner installation known as the Ark. After receiving a signal from an emergency beacon on the surface, the team encounters the Banished and manage to retrieve an A.I. that fills them in on what exactly they are facing. Specifically, Atriox. While many fans were no doubt pleased to get more info about what they'll be going up against in the game, the (arguably) bigger news is that Halo Wars is getting a remaster/update and will be making its way onto both the Xbox One and Windows 10 PC as Halo Wars: Definitive Edition. The title will be part of the Xbox Play Anywhere program - meaning getting the digital version will let you play it on either PC or Xbox One and you can online with friends on either platform - but, for now, it appears to only be available as a packed in bonus if you pre-order the Ultimate Edition of Halo Wars 2, which runs for $79.99 and includes the Season Pass. The whole deal is being labelled as "Early Access" to Halo Wars: Definitive Edition, i.e., pre-order the Ultimate Edition and you'll be able to play the game four days early on December 20. This implies that it will likely become available as a standalone purchase on December 24 (Merry Christmas, you filthy animals), though there's no confirmation of that at this point. For now, if you're a big fan of Halo RTS action, then getting both games and the Season Pass for $79.99 isn't the worst deal I've heard in the past month. Page created in 0.4188 seconds.